In a loud and loquacious world, Supreme Court Justice Clarence Thomas has earned a reputation for his silence. During oral arguments before the Supreme Court, Thomas almost never speaks. In fact, his statements during oral argument are so rare that, when he does ask a question or make a comment, it becomes news and is covered even on overseas websites like the BBC. That’s what happened this week, when Thomas made his first statement during an oral argument since February 22, 2006. In short, he hadn’t spoken at an oral argument for almost seven years. On Monday, his comment apparently was a joke about lawyers from different law schools that caused some of the other Justices to laugh. Thomas doesn’t think he needs to ask questions during oral argument to do his job — and he’s right. He reads the briefs submitted by the parties, votes on whether cases should be accepted for review by the Court, writes majority opinions, concurrences, and dissents, handles the other duties of a Supreme Court Justice, has developed a very consistent (and very conservative) judicial philosophy . . . and gives an occasional speech, besides. The other Justices bombard the attorneys who argue before the Court with questions and, many legal scholars believe, pose the questions not to hear the answers, but rather to communicate with and attempt to persuade other members of the Court. Thomas thinks that lawyers should be able to present their arguments without constant interruptions, so he stays silent during oral argument. Who’s to say which approach is the right one? I admire Justice Thomas for his willingness to buck the prevailing trend and follow his own approach. I also respect anyone who, in our texting, talking, e-mailing, communication-saturated culture, somehow manages to keep his own counsel. Of all of the pleasures I took away from my visit to Lake Temagami, none was more profound than enjoying moments of absolute quiet. 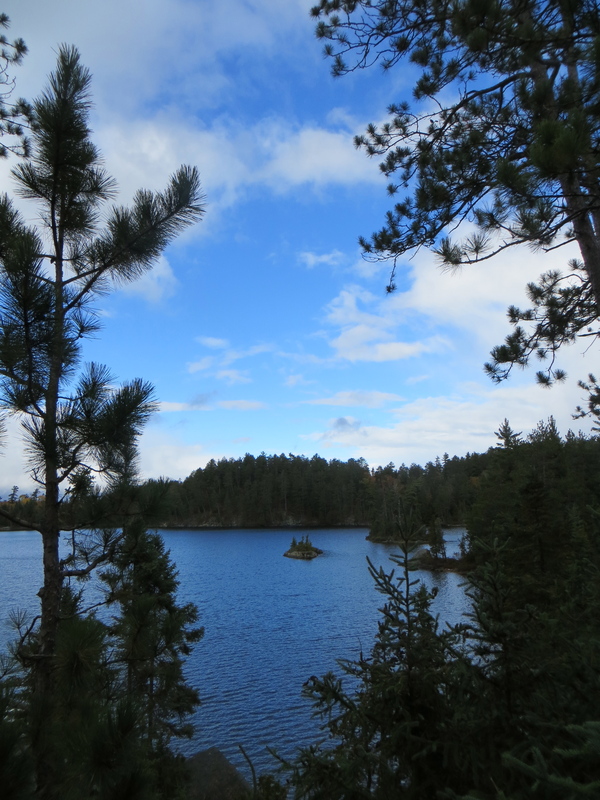 Lake Temagami is a remote location, ringed with trees that start at the water line and extend back to the horizon. We were visiting long after tourist season had ended. As a result, it was possible to stand on the shore of our island and hear . . . nothing. Not a boat motor or a dog barking in the distance. Not the background noise of traffic or the hum of electrical devices. And, because it is well out of cell phone range and the place we were staying had no television, not a ringing telephone or the drone of the TV. You could listen carefully — as carefully as your ears would allow — and detect only the complete absence of any noise. It was like being present at the dawn of the world, with a silence vast and deep that touched the soul. I enjoyed walking around our island, sitting on a rock or a fallen tree, and drinking in that awesome stillness. When you look at this picture taken on the island, try to imagine seeing that vista without so much as a breath or whisper of sound. The Homestead grounds include several fine walking and hiking trails. On Friday I took a hike on the South Trail to get some exercise and enjoy the beauty of a warm springtime day in the woods. The trail promptly took me almost directly up the hillside, and almost immediately the huge Homestead building disappeared from view. The path meandered through the trees, not really going to any particular place, and not in a particular hurry to get there anyway. The destination was pretty much irrelevant — it was the journey itself that mattered. 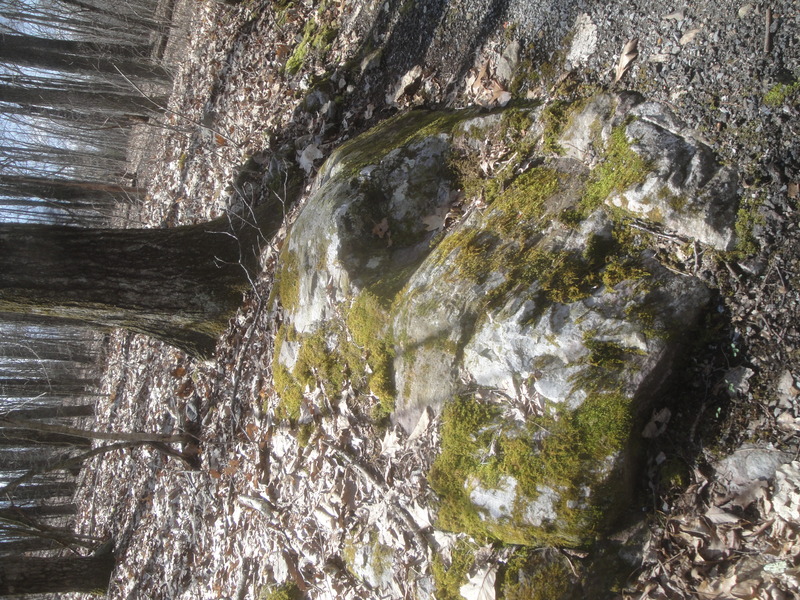 Along the way I paused to admire a lichen-stained granite rock, the rusty color of a decaying tree stump, and the rushing of a nearby stream. 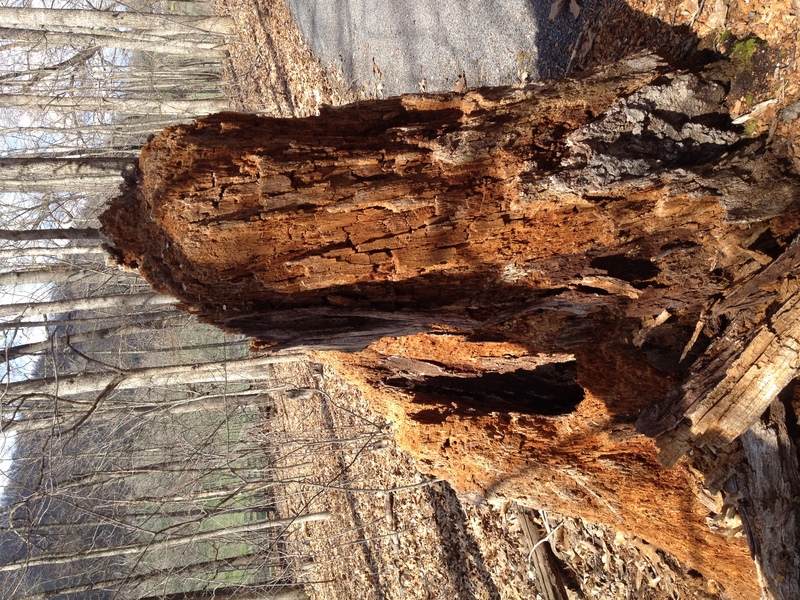 Old trees had fallen and new trees were vying to take their place. Leaves were just getting ready to bring their color to the trees. Although I love my music, I didn’t take my iPod along. There are times when music can only interfere with your appreciation of your surroundings. You march along, focused on one of your favorite songs, and you miss the rustle of a nearby squirrel through fallen leaves, or the smell of the clean, fresh air, or the look of sunshine filtering through the branches far overhead. 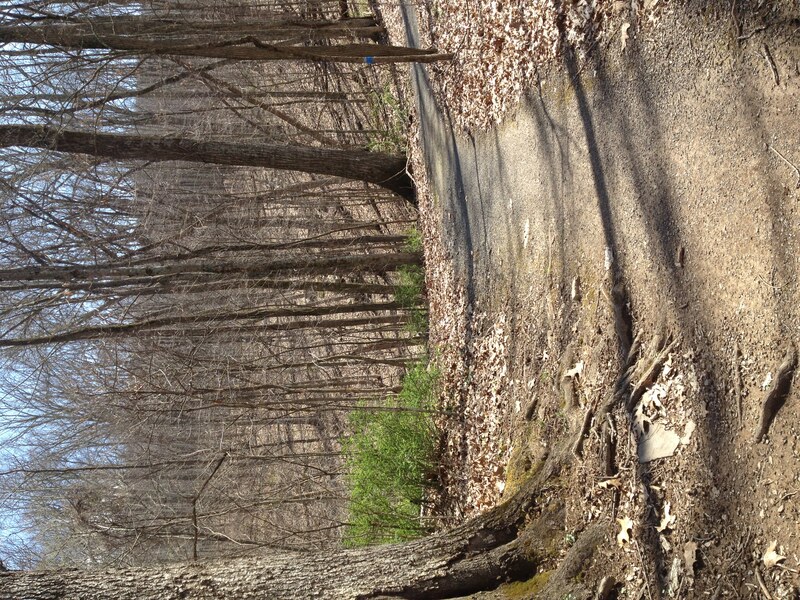 A walk through the woods shouldn’t be done to the accompaniment of a workout mix. A hike is exercise, sure, but it should be something more. The trail was deserted, and it didn’t take long for me to be swallowed up by the silence and leave the sounds of civilization in my wake. Our lives are lived to a soundtrack of humming air conditioners and heaters, road noise, and human voices. We are so used to being immersed in noise that its absence has an almost physical impact. You notice the silence and feel a sense of wonder about it, and when you hear the chirping of a bird break that awesome silence, the birdsong is as pure and beautiful as any sound you have heard before.